Ultratech Engineering Limited - made a petition to NCLT, Mumbai bench under section 10 of the Insolvency and Bankruptcy Code 2016 and under Rule 7 of the Insolvency and Bankruptcy Rules 2016 for initiation of Corporate Insolvency Resolution Process. Ultratech Engineering alleged in its petition that one Sicom Investment and Finance Ltd , who is a financial creditor has warned the company through a letter that they will be initiating an action under section 138 &141 of the Negotiable instrument Act ,1881 demanding the Ultratech Engineering to pay Rs 5 Crores failing which, a criminal complaint will be filed against the Ultratech and its directors. Likewise, Canara bank who is also creditor also demanded the Ultratech to pay its dues at the earliest. Likewise, the Sales Tax department also issued an attachment order to one of its current account with a bank. The following documents were submitted by the Corporate Debtor Ultratech Engineering as required Insolvency and Bankruptcy (Application adjudicating authority) Rule 2016. · Forms evidencing creation of charge by Ultratech Engineering in favour of its financial creditors and lenders. On the basis of the above, the Mumbai NCLT issued a moratorium under section 10 of the I&B Code 2016. 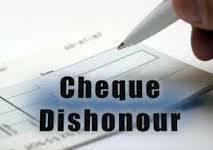 How a Moratorium Order Helps an Ailing Corporate Debtor? The moratorium order issued by the NCLT Mumbai bench prohibits the institution of suits or continuation of pending suits or proceedings against the corporate debtor ( Ultratech Engineering) including execution of any judgment , decree , or order in any court of law , tribunal , arbitration panel or other authority; transferring , encumbering , alienating or disposing of by the corporate debtor any of its assets or any legal right or beneficial interest therein. Any action to foreclose , recover or its property including any action under the Securitisation and Reconstruction of Financial Assets and Enforcement of Security Interest Act ,2002, (SARFAESI). The operation of order of Moratorium issued by NCLT will have effect from the date of its issue till the completion of the corporate insolvency resolution process or until the NCLT bench approves the resolution plan under sub-section 31 or passes an order for liquidation of corporate sector under section 33 as the case may be. 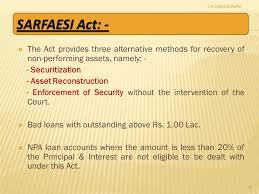 It is to be noted that section 35 of SARFAESI Act, 2002 states that the Act overrides every other enactment. However , Insolvency and Bankruptcy Code 2016 overides all other acts , such as Negotiable Instrument Act , SARFASEI, any state Act. (a) the institution of suits or suits or continuation of pending suits or proceedings against the corporate debtor including execution of any judgment decree or order in anhy court of law , tribunal , arbitral panel or other authority. This is an important direction by NCLT as per section 14(1) of IBC in Ultratech Engineering case and in ICICI Bank Ltd vs. Innoventive Industries Ltd.